My legs ached but I welcomed the burn. Cycling has always brought me equal parts joy and challenge, but today it was giving me the time I needed to process all I had seen. The journey began Thanksgiving weekend and ended just after Remembrance Day. A team of Canadians from all walks of life accompanied me as we visited developing partner communities in Guatemala, Rwanda, Ethiopia, and Uganda. 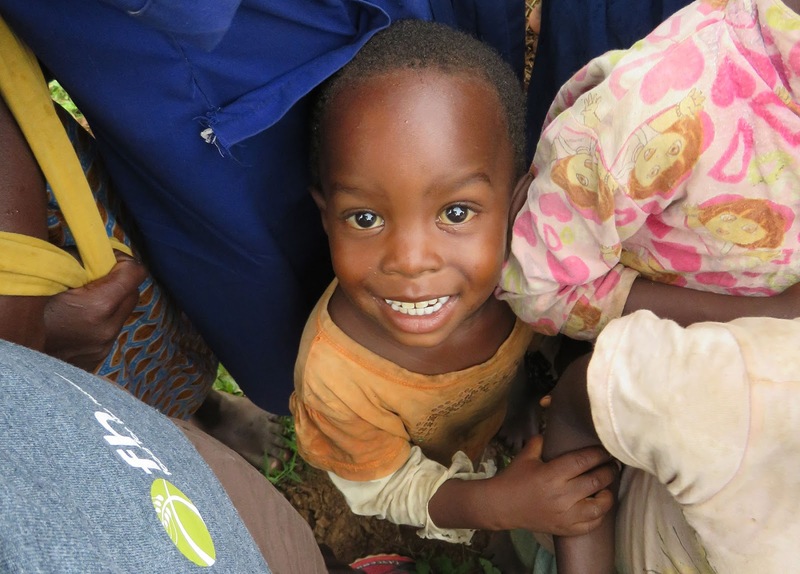 We spent countless hours walking and talking with leaders, parents and children all working tirelessly to overcome extremely difficult obstacles - cyclical droughts, health concerns, limited access to water and education - just to name a few. Now home, I’d gone out riding and reflecting. As I came to the end of my route, I crossed paths with an old cycling friend whom I haven’t seen in over a year. We greeted each other, laughed about our age and whether we should still be wearing spandex. Then he asked about my recent travel. Suddenly serious, my friend went right to his point - How had my visit with our global partners impacted my view of God? And most importantly... did I still have hope after all the poverty I had seen? There was a sense of deep longing to his question - can we really experience hope with so much suffering, violence, and injustice in our world? My answer came quickly. Yes. I experienced hope as I watched FH staff live out life as if they were the very hands and feet of Jesus to the families they serve. 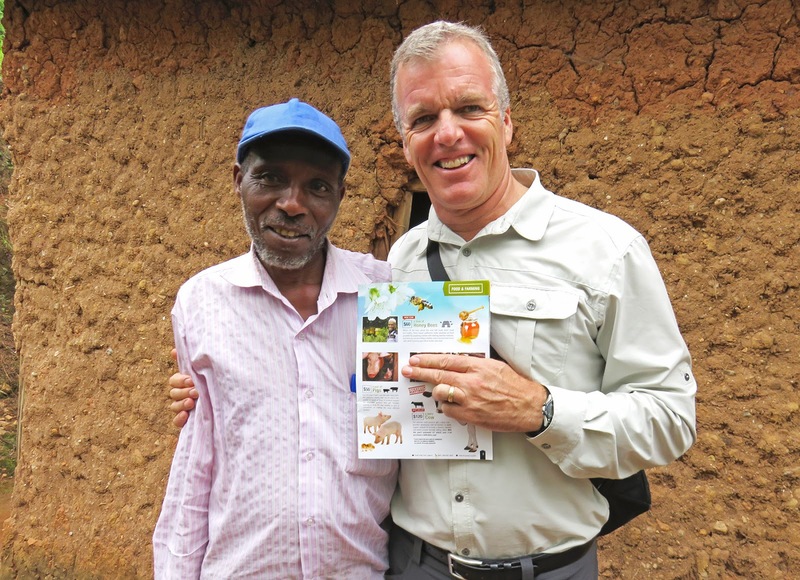 I experienced hope as I listened to Aisha, a Ugandan dairy farmer whose family has been completely transformed by the opportunities that have come to her through partnering with Food for the Hungry. And I experienced hope as I listened to my Canadian teammates share about the impact in their lives through their involvement with our partner communities. 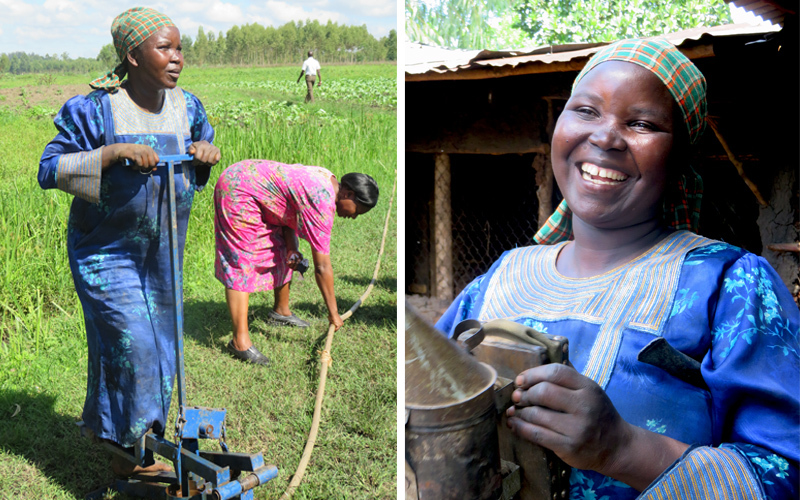 AISHA WORKS THE TREADLE PUMP TO IRRIGATE HER CROPS, AND LAUGHS WHILE SHOWING HER SPRAY CANISTER. It’s Christmas. A time of year when we, from the Christian tradition, pause and reflect on the wonder and mystery of God coming and dwelling among us. God among us, from cradle to tomb. God among us, showing us humility, grace, and truth lived out. This is the hope of the nations and the hope that propels me forward. This Christmas, I thank God for you. 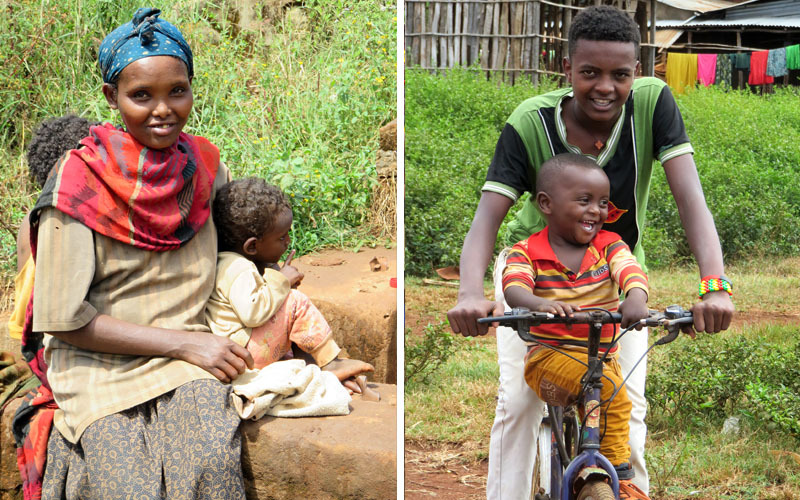 We may come from various walks of life but we can come together around one great call - to end poverty one community at a time. 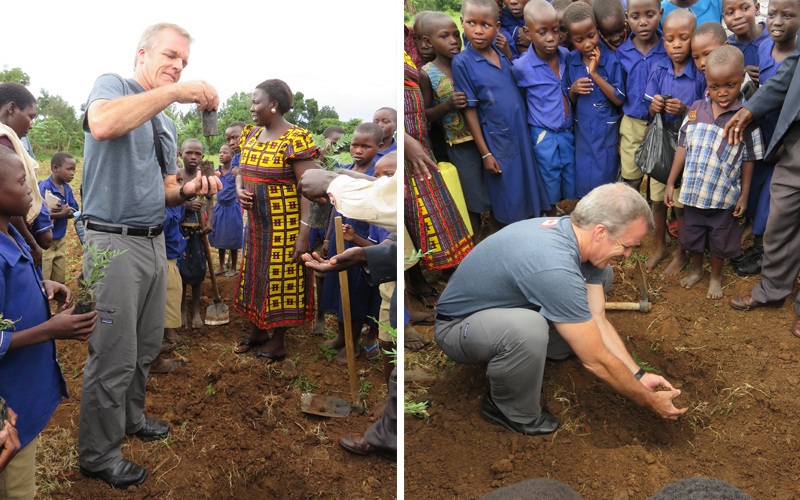 COMMUNITIES IN UGANDA HAVE A WONDERFUL TRADITION OF ASKING GUESTS TO PLANT A TREE IN THE VILLAGE AS A SYMBOL OF LASTING FRIENDSHIP AND WELCOME.